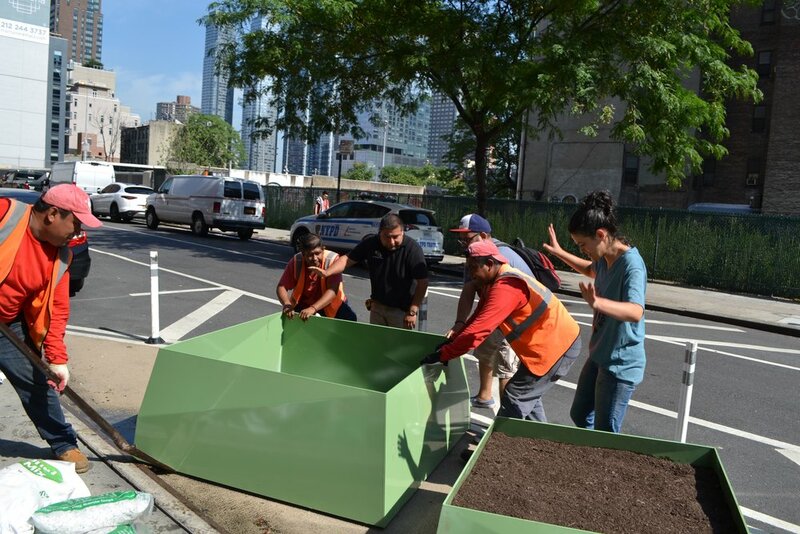 For the past year, Design Wild has been working with the Hell's Kitchen/Hudson Yards Business Improvement District (HKHY BID) and Clinton Housing Development Company (CHDC) to improve the streetscape along 37th Street in Hell's Kitchen with planters and Street Seats. 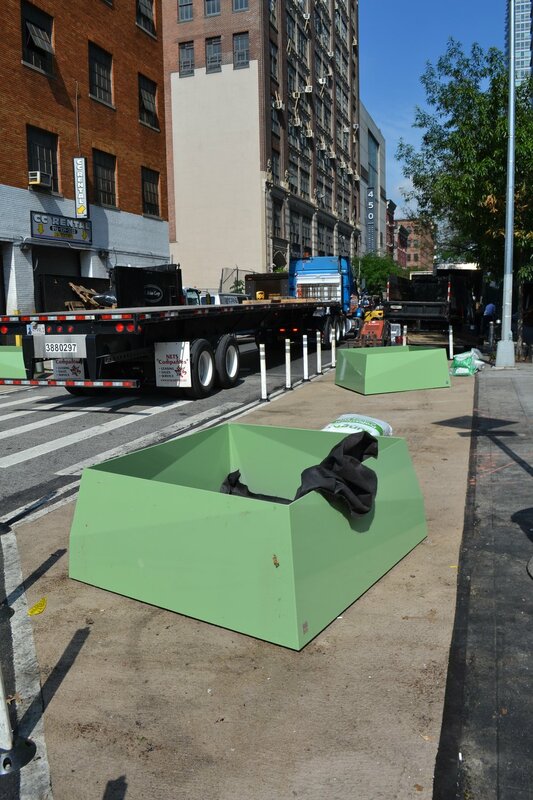 After crossing all our T's and dotting our I's to get everything approved by the NYC Department of Transportation, we were thrilled when they painted the streets and gave us the green light to bring in our verdant friends. We got approval to install bump-outs and planters at three points along 37th Street - both corners of 9th Ave and 10th Ave, as well as on either end of a midpoint cross walk. Here are some 'before' views before the magic happened. 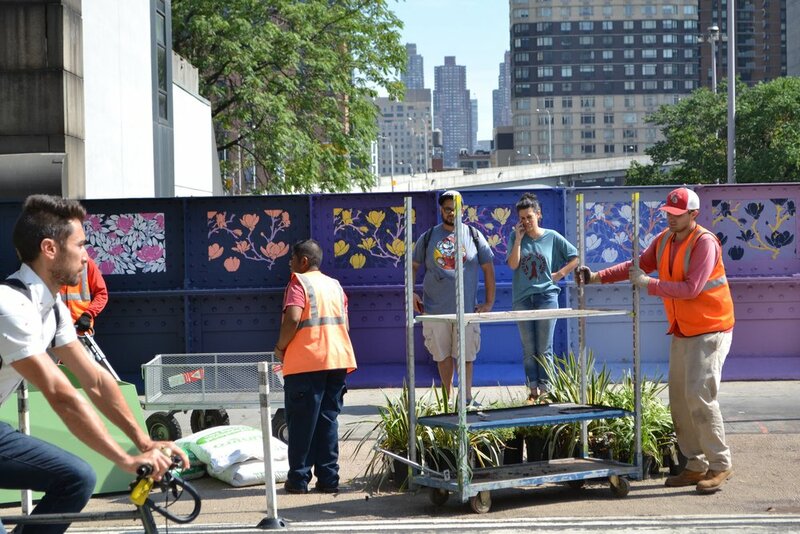 On a sweltering day in July, we were assisted by U. Arias landscaping to install planters at the three points on 37th Street. 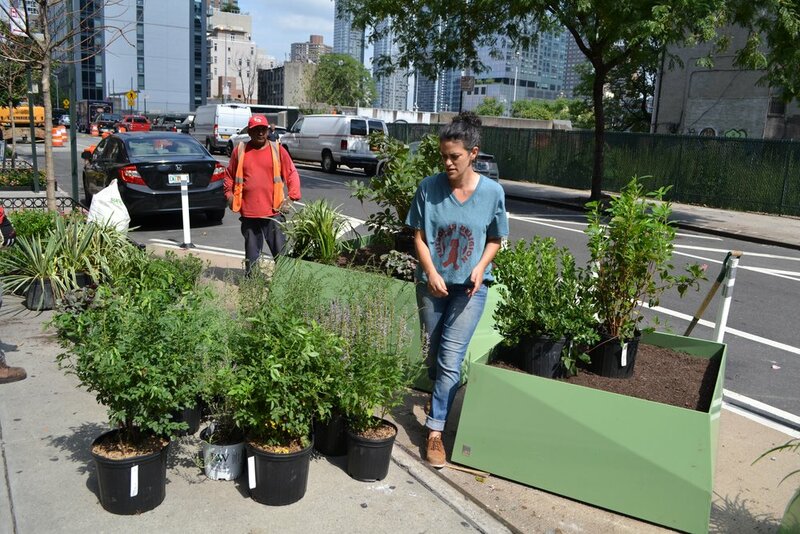 Navigating the noisy and chaotic streets of Midtown on foot with hundreds of plants in tow reminded us just why these kinds of street plantings are so crucial to neighborhoods like this. Plants provide an antidote to the frenzy by giving people a space to rest in shade, breathing a little more oxygen onto the streets, and cooling the temperatures just a smidge. Plus, the pollinators are always starved for flowers in Manhattan, and they found us before the plants had even made it into the planters. After getting the planters 'just right,' Shanti laid out the plants and our friends at U. Arias had everything installed in mere minutes. What a dream team! Next time you find yourself near midtown, treat yourself by heading over to 10th Ave and 37th Street, take a seat, smell the roses, say hi to the bees buzzing among our favorite Agastache, and take a breathe.